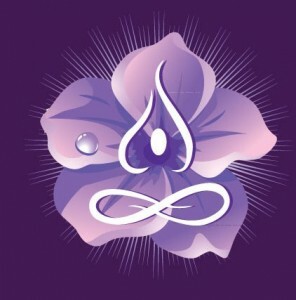 Reflections on Moonflower Yoga's 2-year anniversary celebration | Moonflower Yoga Inc.
On Sunday, September 7th, we are celebrating the two-year anniversary of the opening of the doors at Moonflower Yoga. How quickly time has gone by! For those of you who may not know my background, I spent over 35 years in the corporate world, most of these in the music industry where I worked my way up the ranks and had an opportunity to meet some amazing people. While it was an interesting and important phase of my life, it is this new phase at Moonflower Yoga that is so special to me. When my life in corporate America came to an end, it was a gut-wrenching period trying to decide what to do next. I decided to turn to the one thing that always brought me peace during the stressful times in my life: my yoga practice. Shortly thereafter I enrolled in a teacher training program, and realized this was my new destiny. Upon graduation from the teacher training program, Moonflower Yoga was born. I decided to open the studio in Bellmore in Long Island’s Nassau County (New York) and say goodbye to commuting on the LIRR every weekday. And while I had a dream of what I would like the studio to be, it has far exceeded what those initial drawing plans were. Moonflower Yoga offers a very interesting mix of classes, and I am very proud of how varied the schedule is, with classes such as Vinyasa flow classes for energy and strength, Iyengar-style classes that increase your flexibility, Kundalini yoga, wonderful meditation classes, restorative yoga to reduce stress, Tai Chi, very gentle yoga classes for the beginner, and an eclectic mix of classes under “Calming and Healing Your Spirit” ranging from Angel Healing (IET), to a Reiki Healing Circle, to Laughter Yoga, to a Gallery Reading with an intuitive medium, etc. The small-class setting at Moonflower Yoga has encouraged newcomers, as well as fellow baby boomers such as myself, to come and try yoga, and they are getting stronger, more flexible, and finding inner peace as a result. I also love the workshop programs on very wide-ranging topics from natural ways to improve your health, astrology, spiritual development, Feng Shui, Tai Chi and Qigong, crystals, aromatherapy, meditation, Tarot Cards, ways to relieve neck and shoulder discomfort, goal setting to help you reach your dreams, etc. These have enabled people to learn so many fun and interesting things. And in the last year the Moonflower Yoga Book Club was formed where we have a great time meeting every 4-6 weeks, sharing the new things in our lives, and learning something new through the books selected. Most of all, it is the students and teachers who have become such an important part of my life that have helped to make Moonflower Yoga special. I love the community that has developed here with people meeting other people, becoming friends, and supporting each other. I feel very, very blessed when I open the doors of the Moonflower Yoga studio every day and know that amazing things are going to happen at the studio. I send out my thanks to all of you who have made Moonflower Yoga a success!! And a final thanks to the other half of my life: my husband, Bob, who has been my rock through my journey and helps with so many of the functions at the studio, especially those absolutely delicious homemade goodies that we serve for the workshops and the Moonflower Yoga Book Club. If you are in the area of Bellmore (Nassau County) on Long Island’s south shore this weekend, come join us for our fun two-year anniversary party this Saturday, September 7th, from 1 PM – 5 PM. Come say hello and help us share in an important milestone. You will get to meet some great people. And thank you again for your support!!! !